During the development of the brain growing nerves send out neuronal processes (axons and dendrites) that connect them to other nerve cells, sensory organs, and muscle tissue. Correct targeting of these is the basis for wiring of the entire nervous system and depends on attractive and repulsive molecular cues that guide the developing neurons to the appropriate destination. 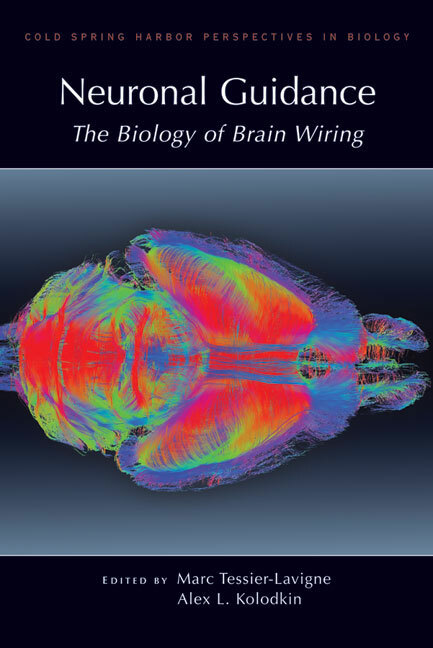 Written and edited by experts in the field, this collection from Cold Spring Harbor Perspectives in Biology examines the mechanisms underlying neuronal guidance and branching and their roles in the development and function of the nervous system. The contributors examine the major guidance cues and their receptors, the intracellular signaling pathways they activate, and their function in the context of important phenomena such as laminar organization and dendrite spacing. Other chapters consider the roles of guidance cues in development of neuronal circuits dedicated to the processing of particular sensory stimuli, such as the visual and olfactory systems. In addition, they cover the roles played by guidance cues and their receptors in neuronal regeneration and human genetic disorders, revealing important clinical implications of work in this field. The book also contains chapters discussing the function of guidance molecules in other processes, such as neuronal cell body migration, axon pruning, and regulation of neuronal cell death. In addition, it explores their roles outside the nervous system for example, in development of the vasculature. This volume is thus of general interest to cell and developmental biologists, as well as all neurobiologists interested in how the nervous system develops and functions.